Carpets are stepped on regularly and thus, they are prone to a lot of dirty and dust. With time, the carpet will start losing its brightness as the dirt keeps on accumulating. Imagine you have bright colored carpet in the office (white color) and what is likely to happen. The fact remains that any small dirty, bombs and debris carried by the shoe will slowly start building up. You need to clean the carpet regularly to remove these elements before it is too late. Cleaning the carpet at least once in a week will help to improve the carpet look by keeping it as good as new. If you are using the carpet in cold and humid places, then you must be very careful about the possible mold formation. Molds and other fungal elements find carpets as the perfect breeding and growth site due to the warmth provided. Both molds and fungi are known for causing skin allergies especially to the children that can lead to skin infection due irritation. Cleaning the carpet regularly with the right detergents discourages the formation of molds and destroys the sources of fungal contamination. If you take a long time without cleaning the carpet, the first disturbing thing that will easily be noticed is the bad smell. The dust, pets’ urine, bacterial and fungal activities is a combination that will produce a foul smell that will not only make the place inhabitable but also embarrassing to the guest or friend. Sometimes, insects and rodents may leave their dropping on the carpet and this will also contribute to the bad odor. Cleaning the carpet regularly will help in improving the smell of the room by removing all these factors. Bacteria are known for causing severe infections that can harm your health and that of other employees. On the other hand, allergens are known for causing allergic infections such as cold and asthma. Carpet provides the perfect breeding and growing places for the bacteria and allergens and thus can expose the occupants to harmful pollutants. Small Kids are at a high risk of getting bacterial or allergic infections as a result of the two. 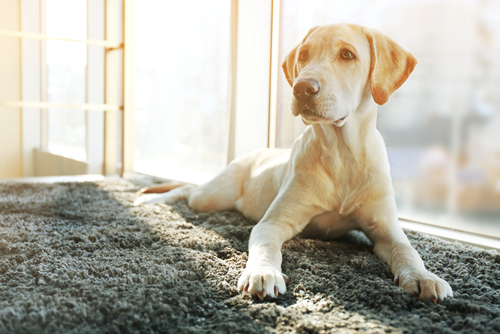 With regular carpet cleaning, it will be very hard for the two to spread and reach a level of causing serious infections. Carpets are best in trapping dirt and dust that attract the insect. Furthermore, carpets provide the perfect environment for the breeding and growing of a majority of the insects particularly during the cold seasons such as the winter. Bugs and beetles are the common insects that find the carpet as their safe havens during cold seasons. The worst thing about bugs and beetles are known for is eating up the fiber material of the carpet thus destroying it. Regular carpet cleaning will reduce the growth and multiplication of these insects thus keeping your carpet safe. To keep the place always looking beautiful, you need to maintain the carpet as good as new. Wear and tear is common to carpets but with a good maintenance program, you can reduce the speed at which it happens. Dirt and sand particles contribute a lot to the wear and tear of the carpet fibers and thus, they should be removed regularly. Regular cleaning will help in removing sand and dust particles thus helping in maintain the form of the carpet for a long time. If there is anything that can mar or destroy the look of even of the most expensive carpet completely is a permanent stain. A stain becomes permanent if it is not cleaning within the shortest time possible. If some tea poor on the carpet, it should be cleaning immediately to prevent a possible permanent stain from forming. Thus, with regular carpet cleaning, it will be very easy to prevent permanent stains from forming and destroying the carpet look. Having a carpet in your office or home is a great investment that must be protected to get value for your money. Carpet is expensive to buy and thus any damage on them will be like losing money you spent on it. To help in protect this investment, you need to keep it in form by regularly cleaning it. Use the best available methods of carpet cleaning and by this, you will keep your investment safe an extended period. A well-maintained and cleaned carpet is an indication of a well-maintained office. It creates a positive impression about the owner of the place and this makes the guest or the friend treat you in high regards. Clean and well-maintained carpets improve the overall appeal of the office and even homes. Overall appeal is a great reason why your office or home carpet should be cleaned regularly. A dirty office will always distract the mind. It is always disturbing when you think of going back to a dirty place be it an office or home. By regularly cleaning the carpet, you will have peace of mind need to work better. You will also be comfortable to welcome anyone in your office. A regularly cleaned carpet will definitely serve the owner for a longer period. There will be less wear and tear and thus the carpet can last for a longer period without getting torn. There will be no insect eating up the fiber material to destroy the carpet and thus it will have a prolonged lifespan. 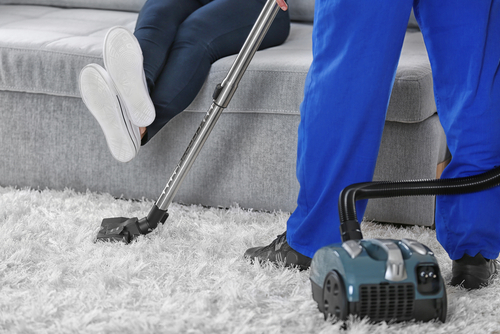 In summation, carpet cleaning an important routine that should never be missed. It should never be taken for granted since it has plenty of benefits as explained above. It is also advisable to hire professional carpet cleaners and the results will be impressive. Such professional knows the right chemicals and detergent to keep your carpet as good as new.